Classes and courses presented by Evelynne Joffe on Global Spiritual Studies can be purchased through the Global Spiritual Studies shop. They are available for download as Windows Media files, which can be viewed on PCs using Windows Media Player and on Macs using the free VLC multimedia player for Mac operating systems which can be downloaded here. The Devil – Scapegoat or Light Bringer? The Devil, card number 15, is one of the most feared and misunderstood cards of the Major Arcana, mostly caused by misinformation and superstition. We have all seen movies with the old crone of a Tarot reader, in a dark and dusty room, turning over the Devil and the Death card, with the music deepening in the background and our hero or heroine looking horrified…Poor Devil! This Major Arcana card is one that demonstrates so clearly the value of studying the Kabbalah in conjunction with the Tarot. 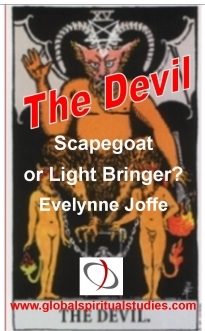 In this session, Evelynne Joffe looks at the symbolism in a selection of Devil images and examines the card’s position on the Tree of Life to gain a deeper understanding of it. Price: $18 USD. Click here for more information and to purchase. 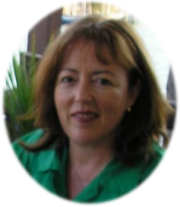 The focus of Evelynne Joffe’s course on the Kabbalah is individual development and self-awareness. The course has been designed for beginners, with a psychological rather than religious emphasis. 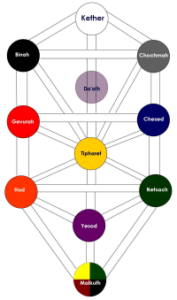 The eight classes in Part One are devoted to learning and understanding the Tree of Life, the glyph or map of the Kabbalah. You work with the spheres, or sephirot, on the Tree to understand the energies they represent and how they can be used as a map of consciousness and spiritual awareness. In Part Two (20 classes) you move to more advanced and subjective work as you explore the 22 paths of the Tree that link the sephirot. These paths represent the experiences we all undergo in transferring awareness from one sephirah, or facet of individual consciousness to another. On the soul’s journey through the experiences of the Major Arcana, the Hanged Man is the point where we decide whether to ‘die’ and be reborn or whether to ‘commit suicide’. In this session, Evelynne Joffe explores the esoteric meaning of the Hanged Man, the so-called card of sacrifice (from the root to make sacred), and its position on the Kabbalistic Tree of Life. 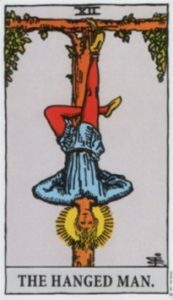 The Hanged Man symbolises a point where each one of us is required to consciously die – to be reborn, or to commit suicide – in unconsciousness.